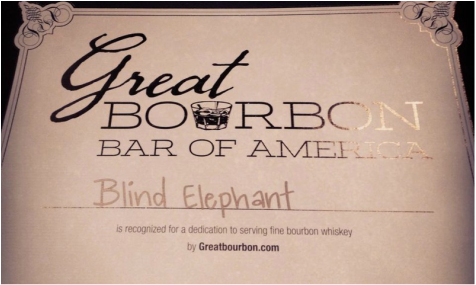 The Blind Elephant is a 1920s prohibition bar operating in an abandoned alley smack dab in the middle of downtown Wilmington. You'll need to knock and present your membership card for entry. 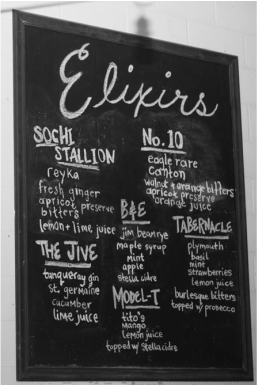 We offer a large selection of bourbons, moonshine and tasty cocktails. Live music regularly and no cover. If your looking for a more private, cozy atmosphere, check out our Volstead Room located upstairs. Available by reservation and password only. ​Call (910) 833-7175 or ask bartenders for details. If you'd like to bring a large group(10+) without a reservation please call ahead.